Lieutenant Lucien Jones, son of a viscount, returned from war, to find his wife and child dead. Blaming his father for the commission that sent him off to fight Boney's forces, he was content to languish at London Hospital - until offered employment on the Marquess of Drake's staff. Through his position, Lucien found purpose in life and is content to keep his past buried. Lady Eloise Yardley has loved Lucien since they were children. Having long ago given up on the dream of him, she married another. Years later, she is a young, lonely widow who does not fit in with the ton. When Lucien's family enlists her aid to reunite father and son, she leaps at the opportunity to not only aid her former friend, but to also escape London. 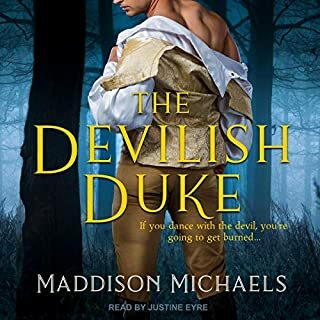 Lucien doesn't know what scheme Eloise has concocted, but knowing her as he does, when she pays a visit to his employer, he knows she's up to something. The last thing he wants is the temptation that this new, older, mature Eloise presents; a tantalizing reminder of happier times and peace. 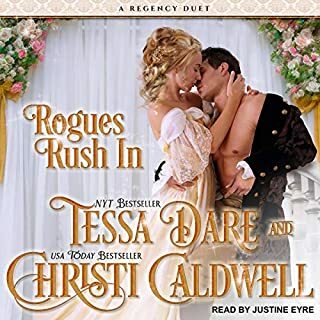 Yet Eloise is determined to win Lucien's love once and for all - if only Lucien can set aside the pain of his past and risk all on a lady's heart. While i enjoyed the story and writing very much, Hugh Bradley's mispronunciations of words essential to any Regency Romance had me gritting my teeth to make it to the end. He is basically an enjoyable Reader so I don!t understand why his blunders are so bad. I tried twice to listen to the book, but I finally gave up on it.The narration was too distracting to enjoy the book or even know what it is about. I spent the little time I gave the book waiting for the next mispronounced word instead of paying attention to the story. 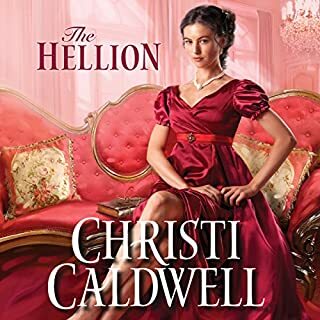 I am a fan of Christi Caldwell, but I just couldn't listen to this book. Too many Vices to count, I give up! With only 3 more hours to go and after suffering through 47 excruciating “Vice Counts”, I give up and go roll in the snow instead. A mediocre sob story about a stalker chick fixating her unwanted attentions on a childhood friend and the trauma drama that ensues makes this one of the memorable disappointments by Ms. Caldwell. The only problem I had with this book was the narrator, Hugh Bradley. Why didn't someone catch the wrong pronunciation, and he kept doing it. Other than that, I enjoyed his narrating and each character was identifiable. The story was well written. This is the type of story that touches your heart when it comes to military veterans and the trials they suffer once they come home from war. The narrator was terrible. "Vice-count" for goodness sake. And I didn't care for his reading in general. Sorry, Christi. Maybe I'll try the e-book. 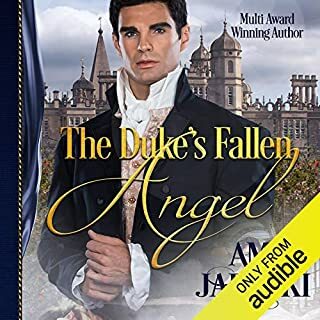 This book is the continued story of Lord Drake and Emmaline, Scandelous Season Book 1 “Forever Betrothed, Never the Bride”, and of the main character Jones, who is employed in the Drake household. Jones is introduced in Scandelous Season Book 1 of a war weary man who not only lost his wife and son, but his arm. He once desired to commit suicide, but Emmaline’s visits to the hospital stays him. Afterwards, he meets Drake, who gives him a position in the stables. In “Seduced by a Lady’s Heart”, Jones is elevated to a butler. He is then found by a past childhood female friend, Eloise, who is a widow. She is attempting to get him to return home as his father is dying, but Jones is angry with his father for making him go into the army. Eloise has always loved Jones and they were always together until Jones met his wife. Afterwards Jones simply forgot Eloise, but now she has returned. This is a sad story of how war affects a person, but it has an uplifting ending. I do miss Tim Campbell’s narrative. I feel Hugh Bradley’s narrative is a bit dramatic. Why offer WhysperSync for bk#2 but NOT this bk#1!?! You peoples have been in this business long enough that you should know how to get it consistent to ensure customer satisfaction. A fine performance by Hugh Bradley. This is the first book I have listened to him narrate and I like his voice very much. He does a good job of playing each character. Christi gives us another compelling series. The book review is on Amazon.